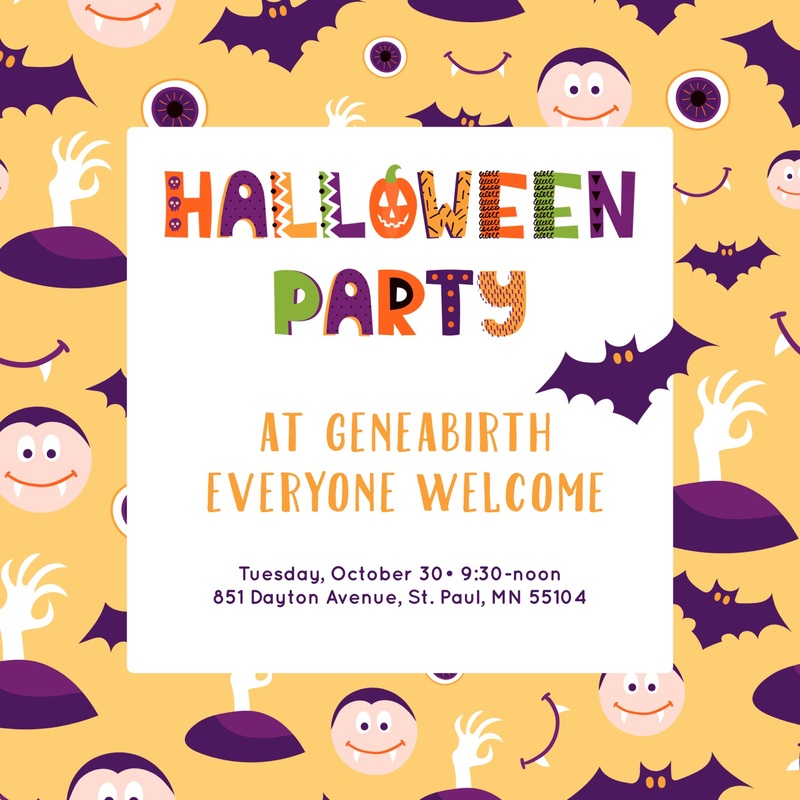 Join us for some Halloween fun! Halloween sensory bin—Toddler/preschooler craft—Halloween goodies! We have plenty of comfy places to sit and toys for the little ones. We’ll have coffee, tea and some snacks to share. Potluck snacks are encouraged, but don’t worry if you are not able to bring a snack, just bring yourself and your little ones. If your baby is too small for crafts and party activities, join us anyway for a cup of tea and some conversation. This event is open to the whole community. You do not need to be a geneabirth client to come.